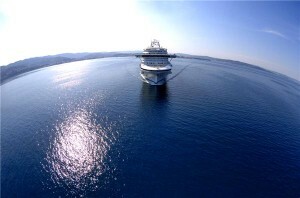 Cruise ships are becoming more accessible for travellers with disabilities, it has been pointed out. According to head of consultancy at Tourism For All Brian Seaman, every new vessel is seeing more facilities for disabled passengers. On top of this, staff on the ships are being given training to help them meet the needs of travellers who may require extra assistance. These measures could help a cruise go more smoothly for a tourist with disabilities, but getting a travel insurance policy for people with pre-existing medical conditions could also help to cover the financial cost of any treatment which Brits may need on a break. Mr Seaman went on to note that before they travel, disabled passengers may want to check that excursions and day trips planned as part of the cruise are going to be accessible. "You need to investigate carefully what might be suitable and what might not be possible," he said.